Borgata is looking to punish Ivey for even more than the $10.1 million it has already been awarded. The news continues to roll in regarding Phil Ivey's long-running court battle with Borgata, and if you're Ivey or a fan of Ivey, that news continues to be negative. While Ivey appeared to be cooked after his ongoing appeals in 2017 came up dry against both Crockfords Casino and Borgata — he and gambling partner Cheung Yin "Kelly" Sun took both for a combined nearly $20 million using "edge sorting" in baccarat and punto banco — the fight has now spilled over well into 2018. First, Gemaco Inc., which manufactured the cards on which Ivey observed small defects in order to ascertain their values to gain an edge, wriggled free of any wrongdoing in a March decision. Then Ivey and his legal team pushed for a stay of execution on the payment of $10.1 million to Borgata, arguing the payment of such a massive sum would do irreparable harm to Ivey's bankroll and block him from being able to continue earning a living through his gambling skill. In that vein, he's been firing away on a heavy tournament schedule that included the $1 Million Big One for One Drop. 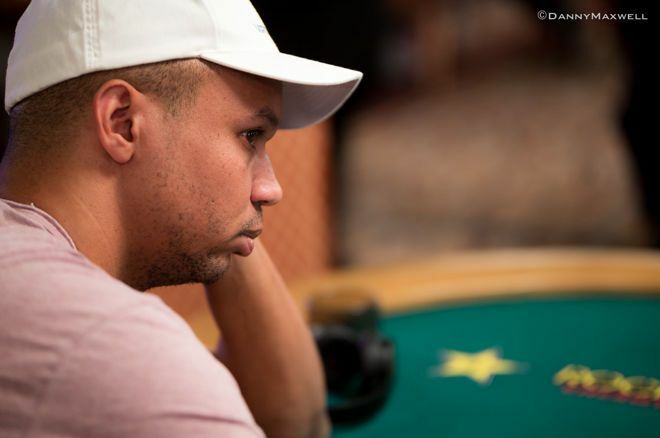 Overall, Ivey has $2.4 million in cashes since his return to the live tournament scene in 2018. Last week, CardPlayer reported that Borgata hit Ivey with a cross-appeal in the U.S. Court of Appeals for the Third Circuit. Borgata requested all parts of the original decision, in which the casino alleged fraud and sought huge reparations, that didn't favor it be re-examined. As for what exactly that means for Ivey, a pair of outlets have reported that Ivey's risk may be significantly upped due to the development. According to USPoker, Ivey could be on the hook for about $30 million, as the casino originally requested treble damages, a tripling of the at-issue amount. Meanwhile, VegasSlotsOnline has reported that Borgata wishes to reconstruct Ivey's sessions and essentially rake in their expected value from his baccarat hands. The casino claimed its mathematical edge over the roughly 1,800 hands Ivey played amounted to about $5.4 million. It appears Borgata has not taken kindly to Ivey's attempts at stalling and clinging to the money he won from it. The casino has loaded up its legal war machine and put Ivey squarely in the crosshairs. Whether Ivey will escape further damage and finally claim a legal victory or finally take a knockout blow remains to be seen, and PokerNews will continue to keep an eye out for further developments in this marathon story.